Permanent abilities done. This week was mainly spent thinking about how to view cards after they’ve been played. I thought of and tried a few ideas and ended up with what’s in the screenshot. 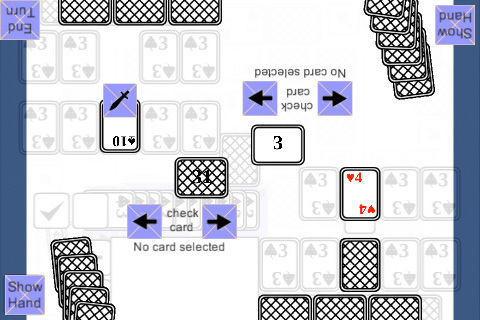 You would use the arrows to navigate between cards. At the moment the arrow buttons don’t do anything. What’s next: making the arrow buttons work.